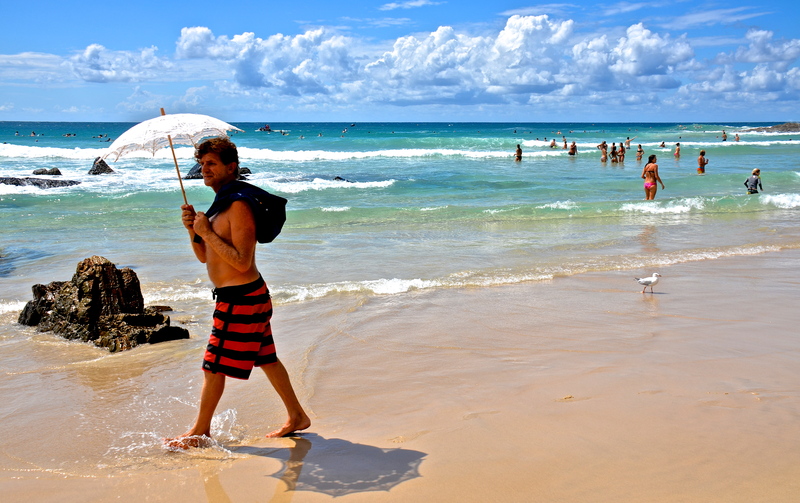 It is unusual to encounter a man on a beach carrying a parasol. Nevertheless, it takes all kinds to make a world. Gold Coast, Australia. Beach Photography: Snapped this pretty lady in a bikini heading in for a swim at the beach on the Gold Coast, Australia. 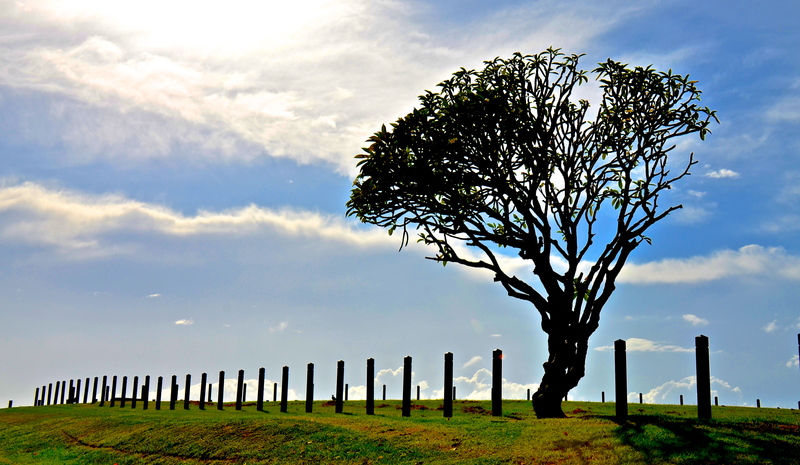 Beach Photography: Life at the beach on the Gold Coast, Australia. Simple, beautiful, splendid. This is a full on black & white photo which I snapped in the 80s in Brisbane, Queensland, Australia. 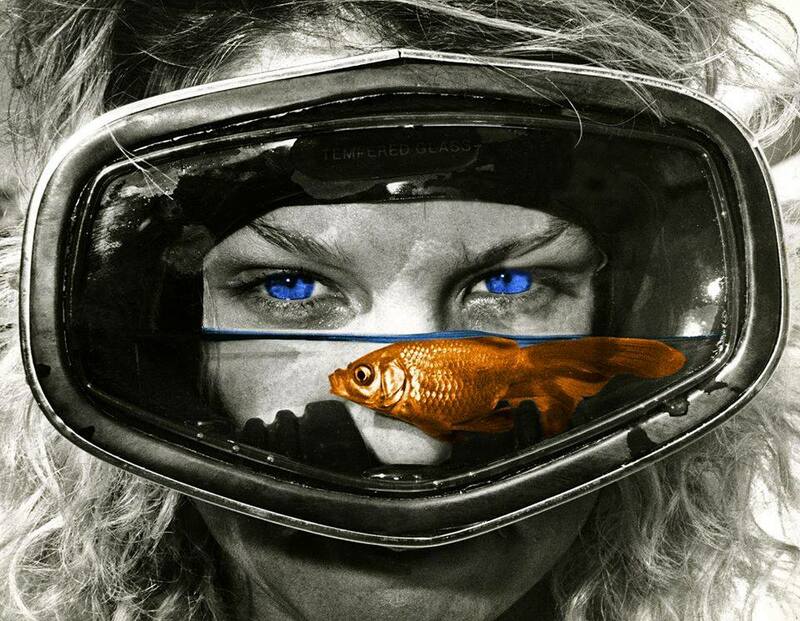 I do not photoshop any of my images, but I did allow my mate commercial photographer Peter Hamilton to colour it in. Love it. 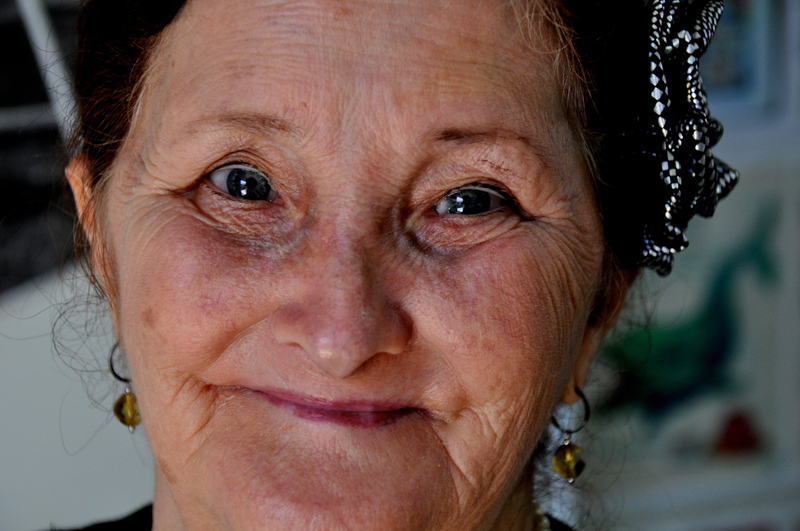 I met the delightful Jeanette in the Eagle Rock Cafe in Laidley, QLD, Australia. She was eating a roast dinner and listening to rock & roll. I sort of fell in love with her. She was cute and very happy, and she knew the words to the songs. “I was born in Dalby, grew up in Toowoomba and now I’m living in Laidley – but I don’t know how long I have been here”. Jeanette didn’t say much, she was happy with her own company. What a sweetie. She was itching for a dance. (I posted this photo on my ‘Bastards I Have Met’ Facebook page). It looks a bit like a frog in a blender – but it’s not. It’s a board rider riding a wave splash-back off the wall at Snapper Rocks on Gold Coast, Australia. You beauty! 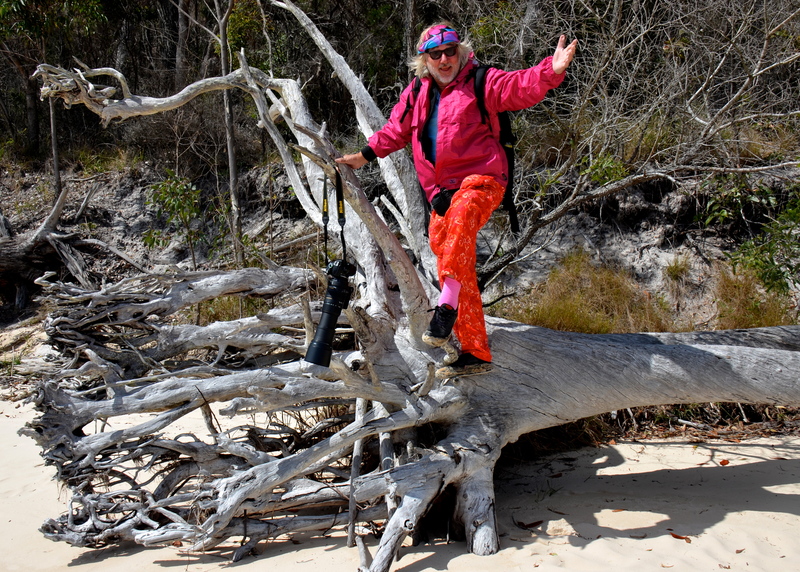 This morning I was heading to Duranbah Beach, which is the northernmost beach in New South Wales Australia, in search of pictures. Just before the turn-off at Point Danger, I spotted this wonderful scene. I snapped a picture and recorded history. 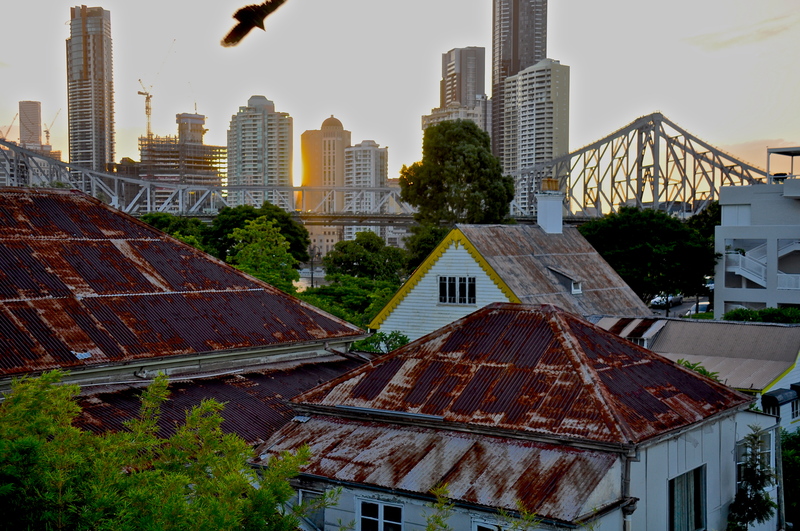 TIN ROOFS ruled when I snapped this late afternoon picture from the Rooftop Bar at Spicers Balfour Boutique Hotel in New Farm, Brisbane. Two beers please. ‪A wonderful sight, and it’s great the tin is still considered for a roof. Very rare in a city. 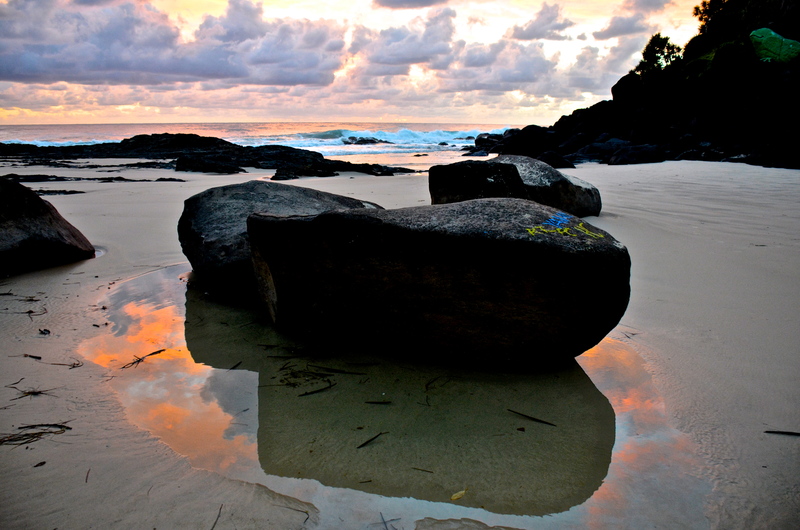 TAKE an ordinary rock at Froggy’s Beach near Snapper Rocks (Gold Coast, Australia), wait until sunrise, and take a picture. You beauty. 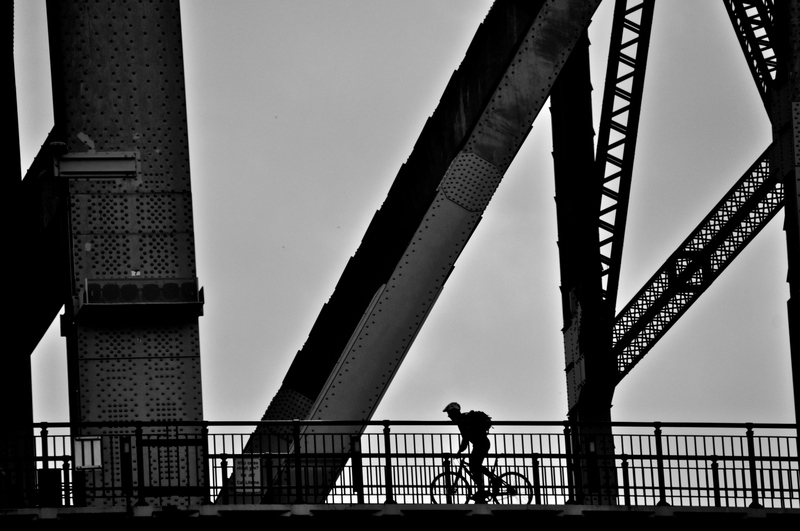 TODAY, while staying at Spicers Balfour Boutique Hotel in New Farm, Brisbane Queensland, I went for a brisk walk and snapped a picture of this cyclist on the Story Bridge.